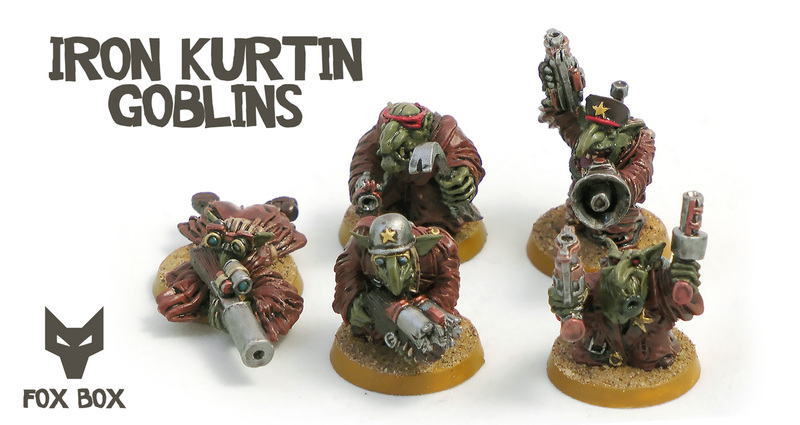 People love rebel grots. There’s something about their stylish stars, hopeless cause, and ramshackle contraptions that really strikes a chord with people. Nathanael is one of those people and he created these awesome sculpts for that very reason: The sniper is probably better saved for a special character (unless you fancy risking a trip to Da Mek!) but the rest of them would fit in well in any Rebel Grot mob. Then again maybe you’d like to have a go at writing some special rules for the infamous GRC? Fancy a set? Our friends over at Fox Box have ’em. This entry was posted on Monday, August 27th, 2018 at 23:39	and is filed under Modelling, News. You can follow any responses to this entry through the RSS 2.0 feed. You can leave a response, or trackback from your own site.